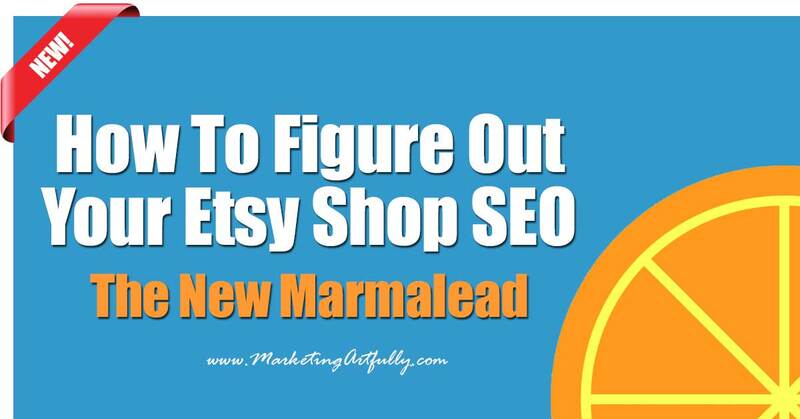 When you are doing your Etsy SEO you probably have lots of questions… Which of my listing are doing well? Which are doing badly? What keywords should I target and how can I find the darn good ones? What can I use to find out how my listings are doing? I use a tool called Marmalead to check all of these things. I am a HUGE advocate and use it every day when I am doing my listings or checking prices for my products. I have also developed lists of keywords that I think will help me to load my listings faster since I won’t have to do the same work over and over again. If you get the program through my link I will receive a small commission that will help offset the cost of my time working on helping you to learn Etsy SEO! I thank you for that and am happy to answer any questions you might have before signing up (tara at marketingartfully.com)! The first thing that I want to know is what I am getting search traffic for now. This is kind of a self fulfilling prophecy since it is based on the keywords I am already using, but I think it is important to know where my wins are currently happening. 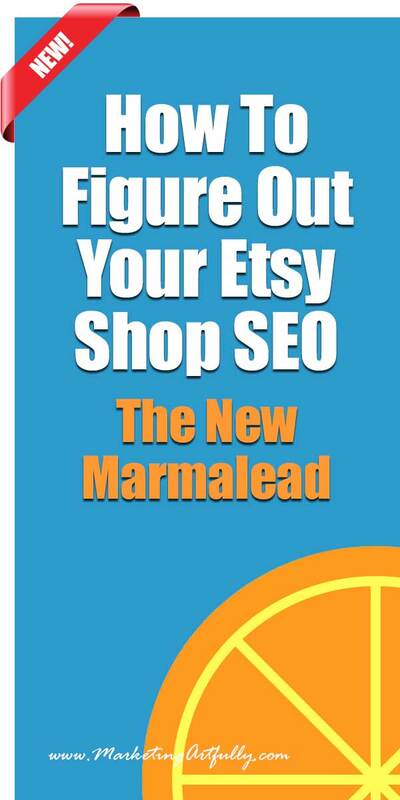 Start by going to Etsy, click Your Shop > Stats and then check the Top Keywords / Search Terms. As you can see, taking down a list of the keywords that you would like to target in the future is a great start to our efforts! Much like Google, Etsy is now showing customized searches based on the user rather than a static search result so no one can give us accurate data at this point. Now you have an idea of “seed” keywords or tags that you might want to use, but how do you figure out other ideas? I have to say that I generally am working on lots of listings at the same time and by the second or third one I am totally fried and not all that creative anymore. For this I use the Marmalead Keyword Storm that lets me easily find close keywords for my product. Oh my gosh, they have done it again! Not only do they have most of the cool stuff that I show you below, but they have added some additional tools in response to the changes in Etsy SEO that have been happening recently. I did a video with one of vintage Etsy products to show you how you can use a combination of the new engagement tools and their current Storm feature! There are a few additional changes that aren’t going to look just like this, but the strategy is great. Which Etsy SEO Keyword Is Best? We have our ideas, we have some keywords, but now we have to make a decision about which keywords will work best for our listings! Should you use the single or the plural, is one better than the others? Do you have a funny vocabulary that doesn’t match the high search volume tags that could really make your listing stand out in the Etsy marketplace? There is a tool for that! The Comparison Chart! As you can see, knowing which is best is super important to you ranking well for a tag or keyword that matters! How Do You Fix Your Etsy Listings So They Rank Well In Etsy? Now that you know about your keywords, the last thing is to make sure that your listings are optimized to rank highly in search! You can have the greatest keywords in the world, but if they are not done in the right way, they will not give you the results that you want! OMG…I have been like a kid in a candy store spiffing up my listings and making sure that they are ranking for keywords that matter to my sales! I KNOW this has been a lot, but hopefully this will help you to start or improve your Etsy SEO rankings. Knowledge IS power and knowing the ins and outs of your own listings will help to assure that your shop continues to grow and thrive! This might sound like a commercial for Marmalead, but I have tested a bunch of different software for Etsy sellers and I have to say that this is the most comprehensive tool out there to save your time when working on your Etsy store! Previous Post: « The Complete Guide To How Using Etsy Shop Updates Can Help You Sell More!